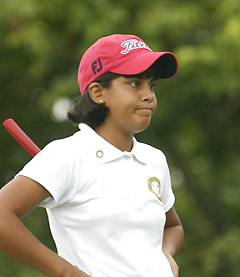 So Paraguay have taken the lead in the Women's World Cup of Golf. The Corporate Golfer never knew that Paraguay were any good at women's golf (then again, his knowledge of women's golf isn't much more than what he's blogged about...which regular readers - if there are any - will know is not much). 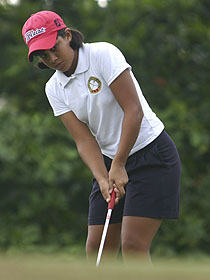 Led by Julieta Granada, Paraguay opened up a four-shot lafter the first round. "We're just going to go and have fun and hit the best shots we can. We're not going to get upset with each other," said Granada.